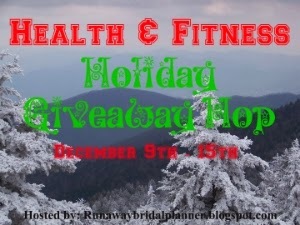 Health & Fitness Holiday Giveaway Blog Hop. So lets get down to the giveaway details for my blog. First, there will be 2 winners on my blog. The first place winner will get their choice of the two prizes I am offering. The second place winner will receive the remaining prize. 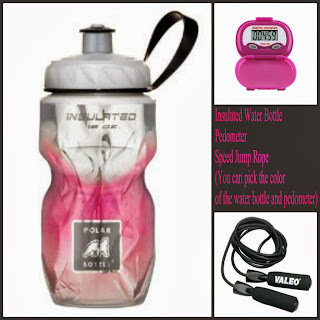 * Insulated Polar Water Bottle - You can pick the color. * Pedometer - You can pick the color. * Valeo Deluxe Speed Jump Rope. Spartan Reebok Race Entry - This entry is good for any race within the Continental United States during the 2014 Year. They have races in the following Continental States: CA, TX, AZ, FL, GA, NC, SC, NV, IN, CO, MT, NY, MA, MS,, MI WA, PA, NE, IL, OH, CT, NJ, VT, VA, TN, KY, AL, UT. You must be 18 or older to enter. Winner must have a US mailing address for shipping of prize. Winners will be listed on this blog page between 12/16-12/17. They will be notified via email and have 48 hours to respond otherwise a new winner may be chosen. Thank you to you all for supporting my blog this year! I wish you all a Merry Christmas and a Fabulous Holiday Season!! NOW THAT YOU'VE ENTERED MY GIVEAWAY, HOP ON OVER TO THE NEXT BLOG ON THE BELOW BLOG HOP LIST AND ENTER THEIR GIVEAWAY TOO. The first one will help me with my fitness goals. 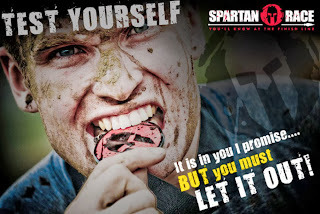 I would love to win the Spartan Race! Fun prizes! Thanks for hosting the blog hop. I would like to win Prize #1--don't think I could handle a Spartan race!! I would love to win the Spartan Race entry! Thanks for doing this-- I like both of them! I'd really like prize #1. Speed jumprope all the way! I would have to go with prize #1. Thanks! Spartan, all the way! AROO!!! I would love the Spartan race entry! I would love prize 1! Either prize is great, but I'd love the Spartan race entry. I've wanted to do one of those. Tough choice. Both are great!! Such dedicated bloggers! This is such a tough time of year! I follow your blog just because I love it...please do not include me in the prize drawings..I just wanted you to know how amazing you are. I would love prize #1 - I love the water bottle! Prize 1! I seriously need a new water bottle! Would love prize one. Thanks for the chance!! Hmm, I'd pick either but a free entry to Spartan would be cool! If I lived in a state where the Prize #2 was, I'd totally go for that, but as it is I'd love to win Prize #1. Oooh a Spartan race sounds like fun, but I think Prize #1 is more my pace for 2014. Would love that race entry please! OOh the water bottle and pedometer! Great giveaway!! I would love to win the race entry! I've been looking at the Spartan race and my siblings are planning to sign up, so I'd probably go for #2. I'd love prize #1 - simply because I have horrible shin splints and can't run - wouldn't want to take a prize someone else could really enjoy! I would like to enter for prize #1, please. Its No Secret. It’s No Secret that God’s Law of Attraction operates on and above the physical plane. James Patrick Watson credits the Law of Attraction to God and reveals this using verses in the Bible. It is about expressing gratitude for blessings, the direct result of understanding and using this most important of God’s Laws. Watson saw the possibility of this book when he read Rhonda Byrne’s “The Secret”–it revealed the need to make Christians realize that the Law of Attraction is in the Bible itself and that God expects every Christian to appreciate and use it.